Crystal Clear Polypropylene Tubing is a great choice for preserving freshness in your products while providing exceptional clarity for the best presentation. When used for perishable products, they can greatly extend the shelf life due to their excellent vapor and moisture barrier properties. 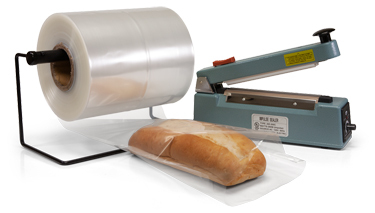 We also offer several different styles and other specialty polypropylene bags. Meets FDA and USDA requirements for food use.